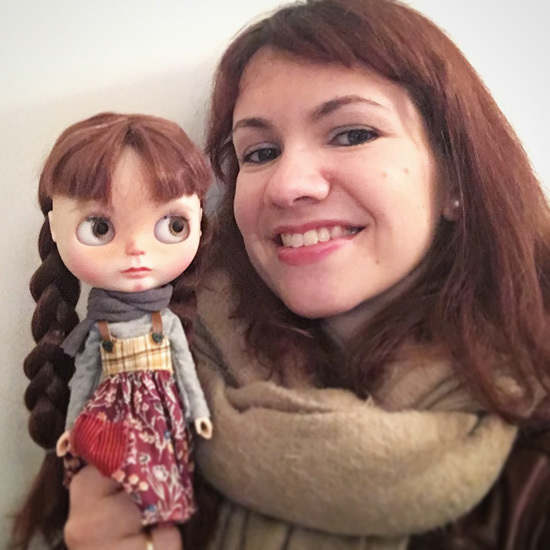 For this week’s March Talent Showcase, I’m featuring Filipa of Little Matilda Atelier. 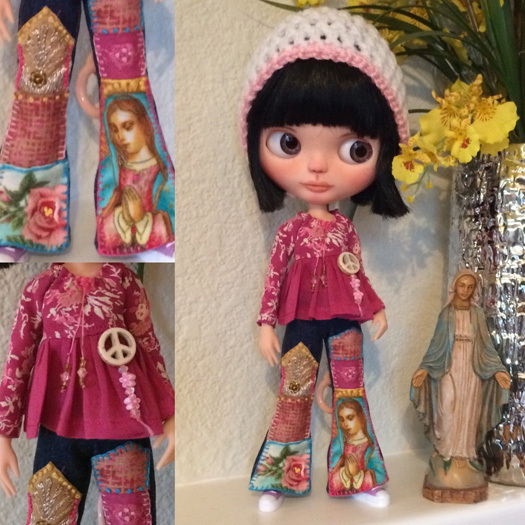 Filipa customizes and creates cute doll clothes! 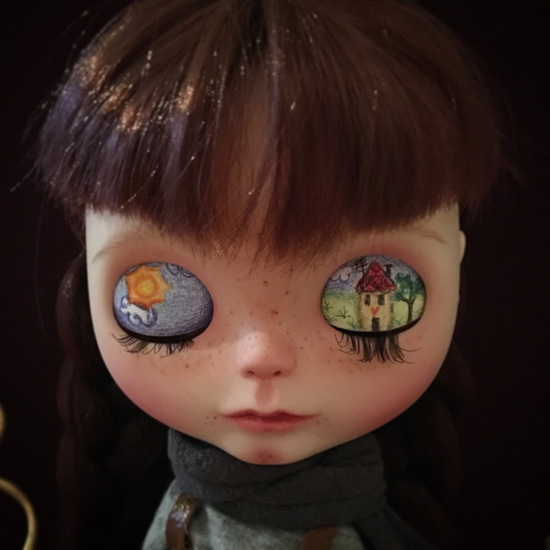 Continue reading to learn more about Filipa and her beautiful creations! Hello Filipa! Please tell us about yourself! Hello Michelle. I’m Filipa, I’m 35 years old and I’m a Portuguese artist living in London, UK. I’m a wife and mum of two boys, ages 10 and 7, and a 9 month baby girl. 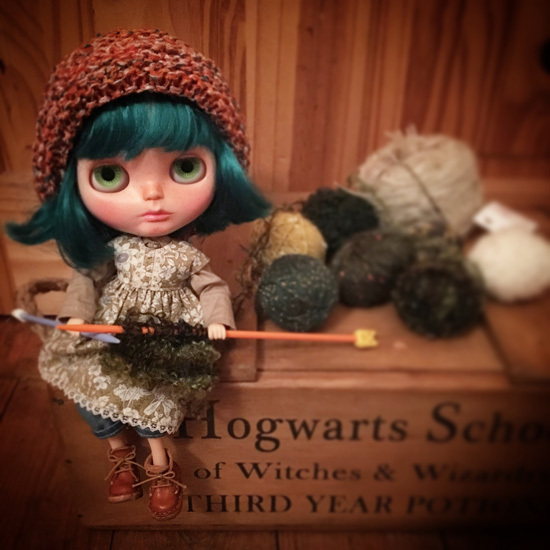 I’m the founder and owner of Little Matilda Atelier, that is my happy place where the magic happens and little Blythe dolls became to life. 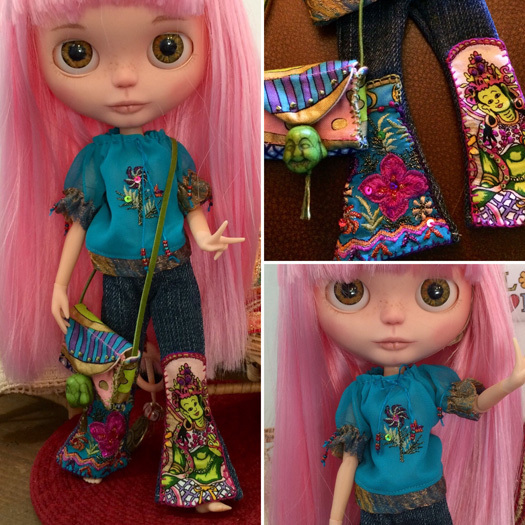 How did you discover Blythe? 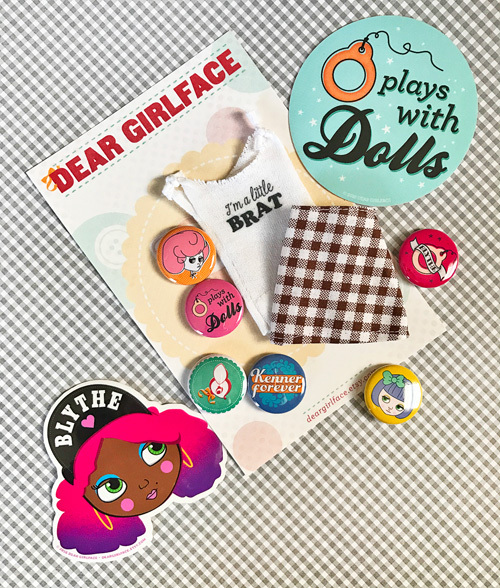 Who’s in your doll family? 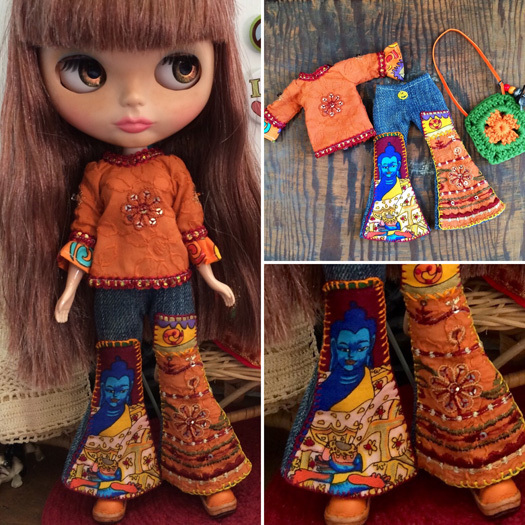 I’ve discovered Blythe dolls about one and a half year ago on Instagram from Dolly Treasures account. I fell in love completely!!! 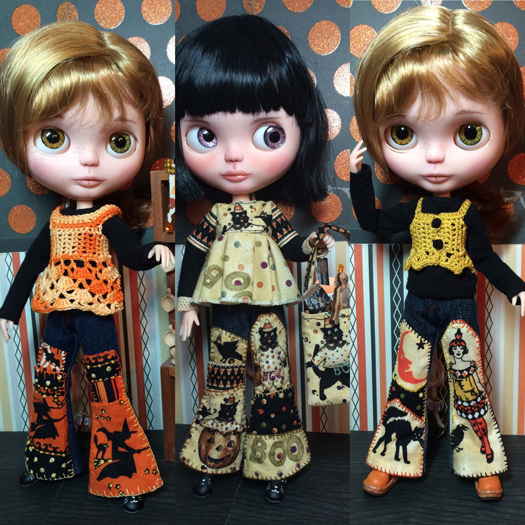 I’ve messaged Eileen asking where I could buy these dolls, and she explained me that they were Blythe dolls customised by artists, and I could find them on eBay or Etsy. 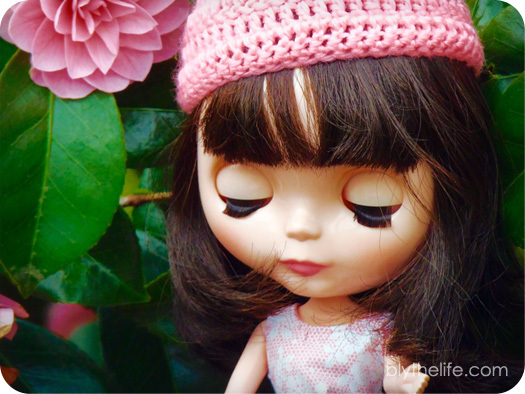 On that day I’ve started my journey as a Blythe doll collector and customiser. I’ve searched on internet everything about these girls and found all the information about stock dolls and factory dolls. Five months after I’ve tried my first attempt of customisation on a faceplate. 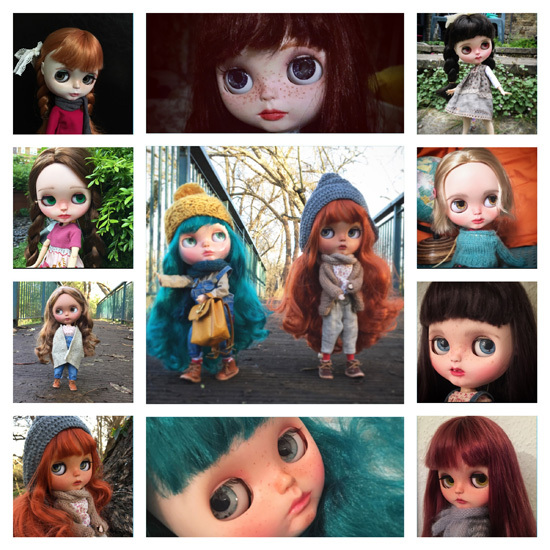 I found it really difficult, but my love for these girls spoke louder and I kept trying until customise my first doll in February 2016. At the moment I have in my doll family one stock girl Dark Rabbit Hole and four TBLs named Saffron, Olivia, James and Amelya. 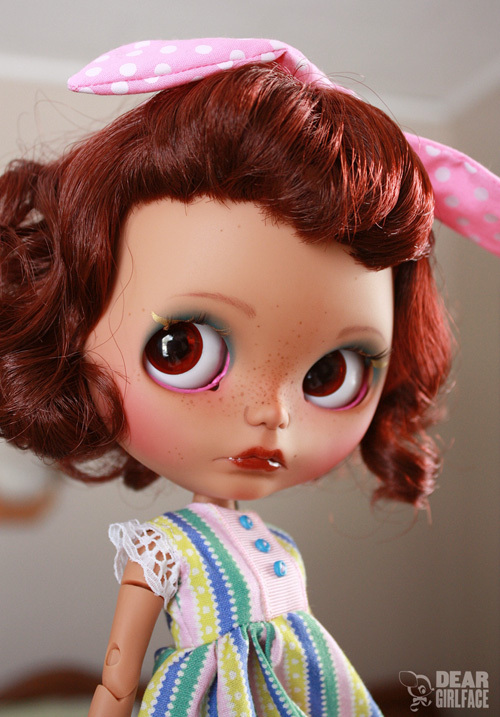 I’m waiting for another stock girl Blythe, Varsity Dean. Many more will join my dolly family in the next few months. 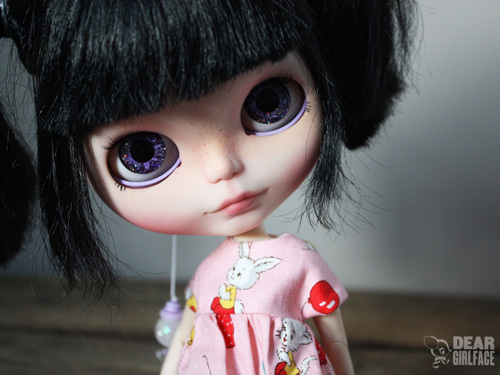 Tell us about your first custom Blythe, what made you decide to start customizing? 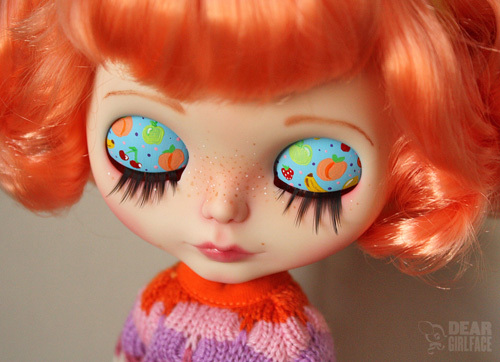 My first custom Blythe was a Ginger hair TBL Blythe. I’ve decided to start customising because I was completely in love with these girls and I wanted to see if it was something that I could do. I’ve studied arts in University and I had some knowledge in carving, so I’ve decided to give it a try. 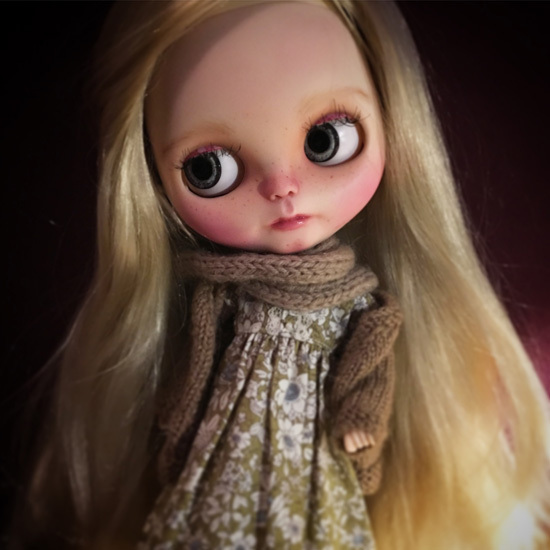 What is the process like for you when you start a new custom doll? When I start a new girl is always a mystery. I have an idea in my head of like I want her to be, but somehow during the process it turns out for something completely different. At the end it’s even better than I thought. I start to choose the girl I want to customise, and when I find her I begin to work in the idea, like hair style, illustration in the backplate, eyelids and outfit. As soon as she arrives I start working. What has been one of the biggest mistakes you’ve made so far while customizing? How did you overcome it? 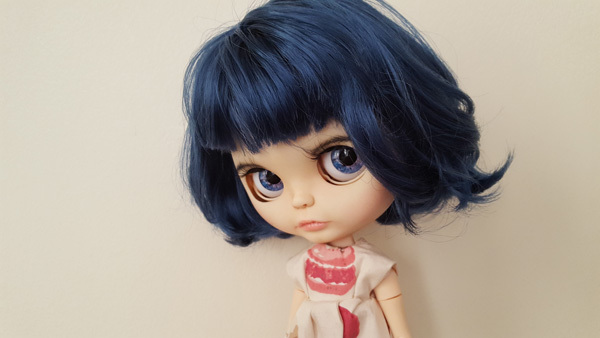 One of the biggest mistakes that I’ve made so far while customizing, was an attempt of making an open mouth with little teeth. I’ve carved in the wrong way and made a big hole in the mouth. I’ve tryed to fix with air dried clay, and it worked for me. I kept this doll for me. She is my little blondie girl named James. There were other mistakes of course, but this one was the biggest so far. What kind of lessons did you learn with your first customization project? The biggest lesson that I’ve learned with my first customization girl, was that this is a job of love and requires lots of patience. I am an impatient person by nature, so I’ve learned to be patient. Customizing, works like a therapy for me. When I’m doing this job that I love so much, I almost forget everything. There are so many details to think about. I’ve also learned that we can’t do everything in the same day. I need to stop, and come back another day with fresh eyes. 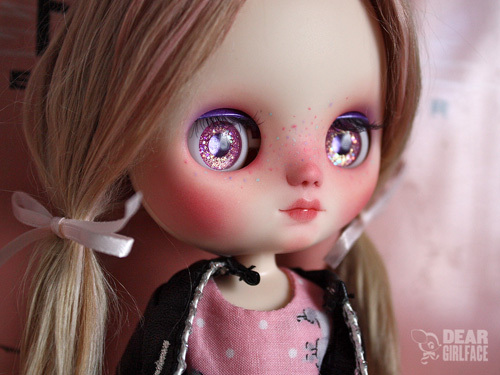 And the best lesson that I’ve learned is that customizing makes me really happy!! What tools do you use would you say have been the most important in your customization process? I use sanding paper P400 and 1500 Grit, different shapes of wooden carving chisels, surgical scalpels and a micro Dremel. All of them are really important, but I found that the Dremel helps a lot in the beginning of the carving process to gives definition. How would you describe your aesthetic when it comes to your custom work? 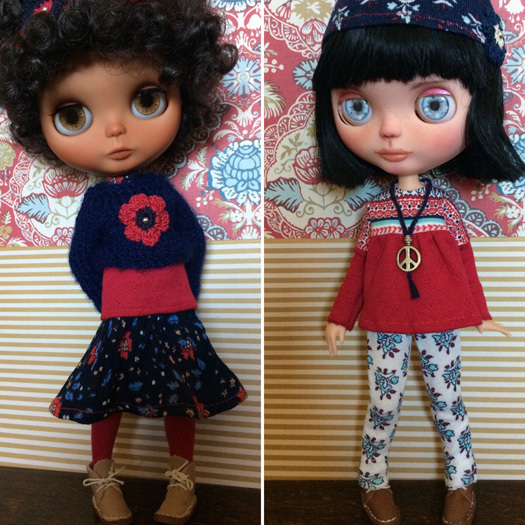 I’m inspired by little ones, so I would describe my custom dolls like little girls with cute and shy faces, with pinky/ reddish freckled cheeks. 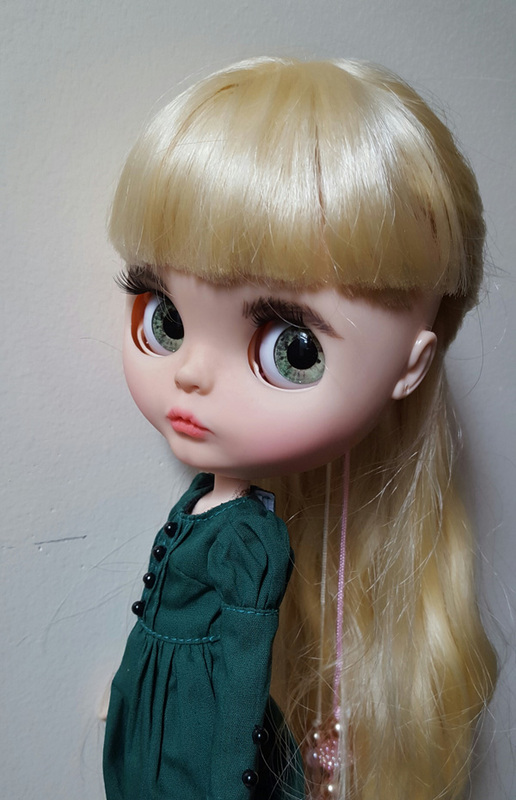 I use the Licca body or Azone pure neemo XS to give them the aspect of little girls and I usually cut and style their hair to finish their childish appearance. What kind of custom projects do you have planned for the future that you can share with us? 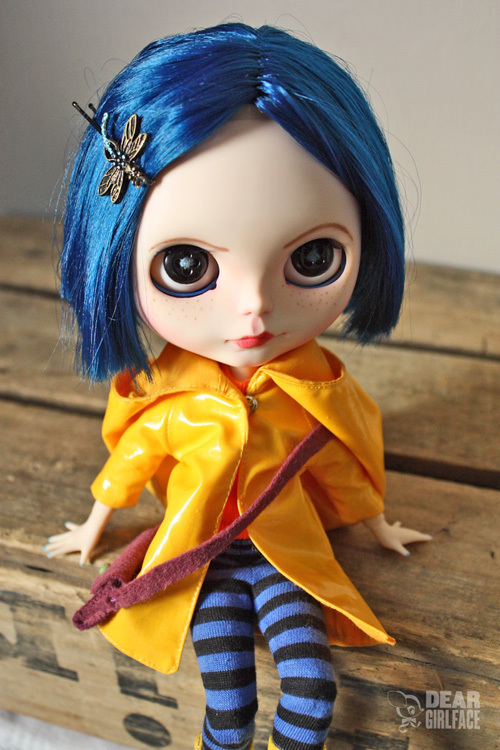 I have a few custom projects planned for the near future that includes a boy, a middie and a petite Blythe. 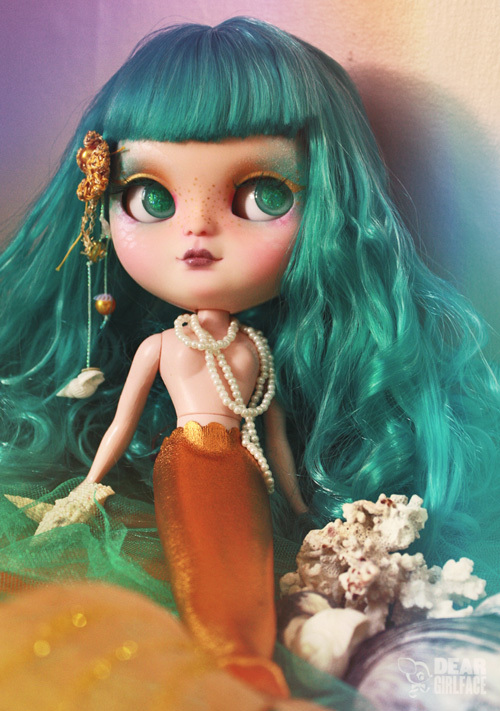 I also have a project to customise a doll inspired in a Portuguese TV entertainer called Juju Red, a fairy, and a mermaid. 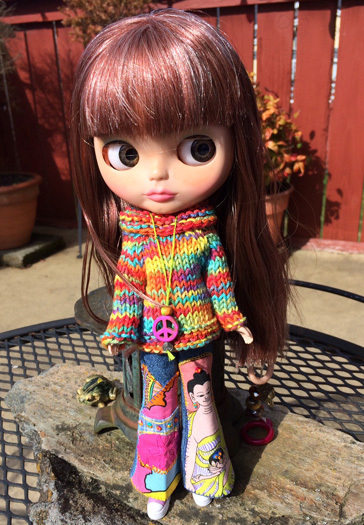 Besides your custom work, tell us about your other creative endeavors with Blythe. Besides my custom work, I am developing a collection of clothes and hats, but it’s still in a beginning stage. It will take some time to come out. 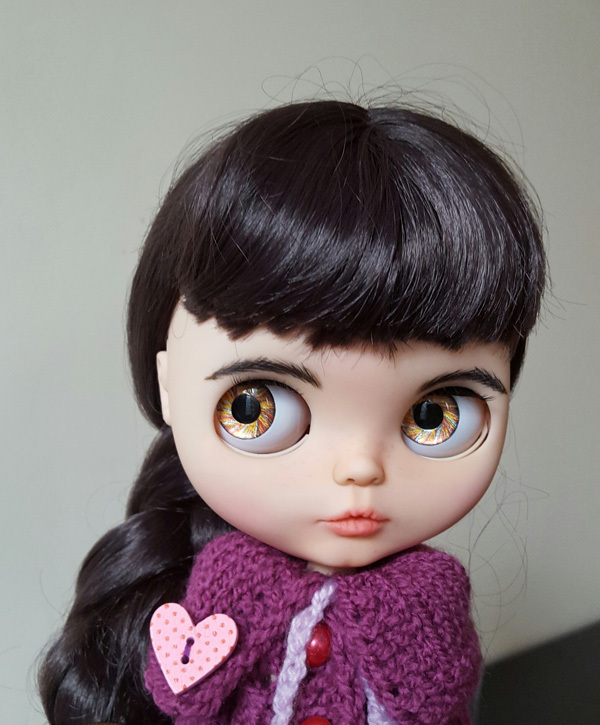 I’m also an Illustrator, so I’m creating my illustration of a Blythe doll and my Logo, that I will share soon. Thank you so much for doing this interview with me, Filipa! What advice to do you have for someone who’s starting to customize? Thank you so much Michelle for the interview. It was a pleasure. I would like to say to someone who is starting to customise to don’t give up. It can take some time to be happy with your custom, and in the beginning it may seems that you don’t know what you are doing. It’s absolutely normal. Relax, take your time, and keep trying. It gets better everyday!!! And everyone have their own style. The most important thing is to make it with love. You can find out more about Filipa and Little Matilda Atelier on Etsy, Instagram, and Facebook. 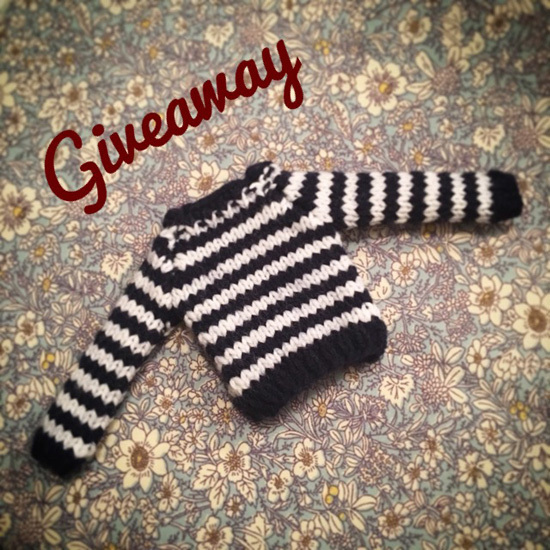 Little Matilda Atelier Sweater Giveaway! 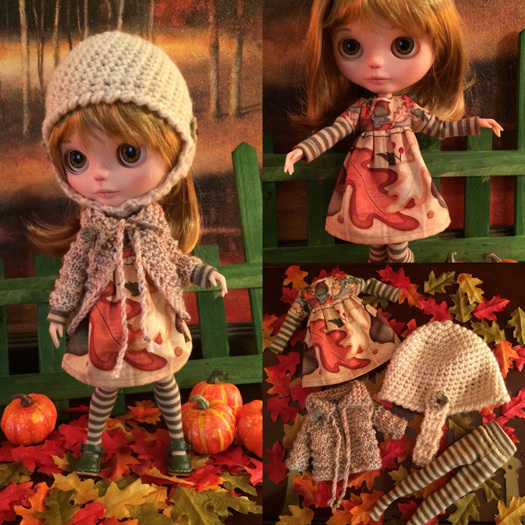 Filipa has generously decided to give away one black-and-white striped sweater for Blythe! The giveaway runs until Friday March 17th 2017 at 11:59pm Pacific. The draw will be held on Saturday March 18th 2017 and the winner will be announced on BlytheLife.com. Remember to use a valid email address for all comments. If you win, I will be contacting you for your address and forwarding the information onto Filipa so she can send you your prize. 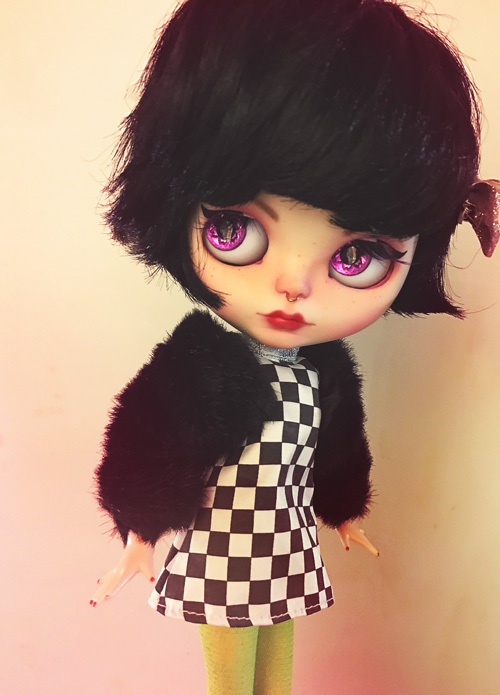 old black and white movies, flappers, crochet, makeup artistry, glitter and of course, Blythe. I was living in San Francisco and online at the library catching up on blogs on a lovely summer day. 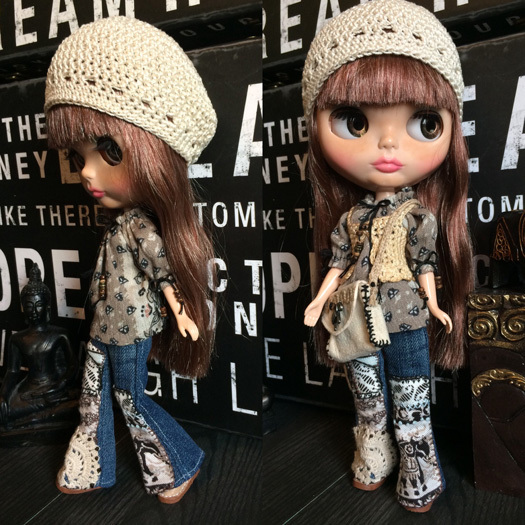 There was a blogger I used to read, and she had this mini Blythe, and the doll tattooed on her arm. It was awesome! 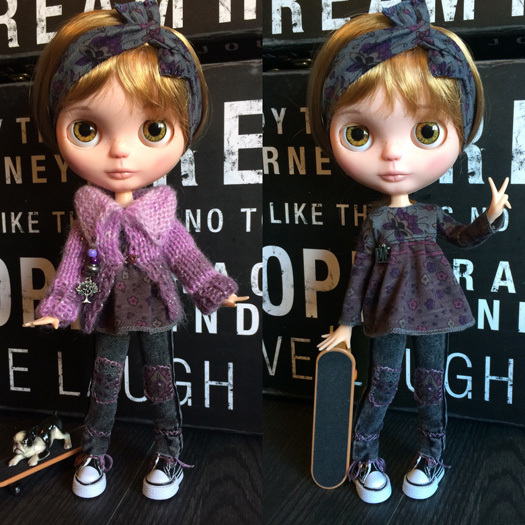 I asked her about the doll and she said the really cool Blythe dolls had pull strings. Their eyes moved…she sounded creepy and I forgot bout her. Flash forward a few years, I was visiting my best friend out in the Oregon coastal mountains. A quilter and toy collector/eBay seller and in her insanely packed sewing room, amidst all the Heather Ross fabric, was a Good Neighbor Cafe in a box and I squealed with delight. She showed me her Ashton Drake redheaded beauty and a couple other ones who escape me. I was hooked and had to get my own. My best friend handed me Gina’s books and was so excited that I was so enthusiastic and delighted with the dolls. 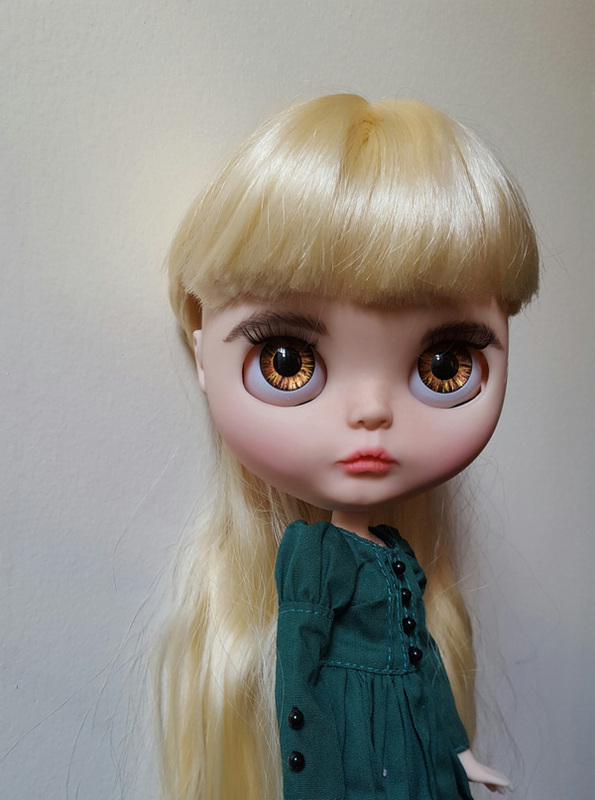 I of course had tons of questions and she told me about reputable sellers and your first doll will speak to you to buy. 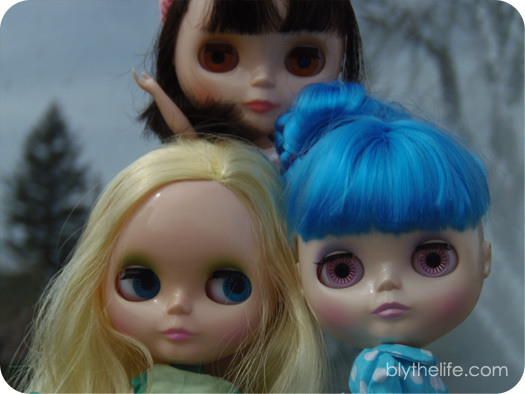 Coco, Greta, and Betty Blue. My first doll was Simply Chocolate. I loved her little sixties coif and fashion and promptly name her Coco after model Coco Rocha. Simply Love me (renamed Greta) and Monique Magnifique (renamed Clotilde, currently undergoing a transformation) joined the household a few years later. 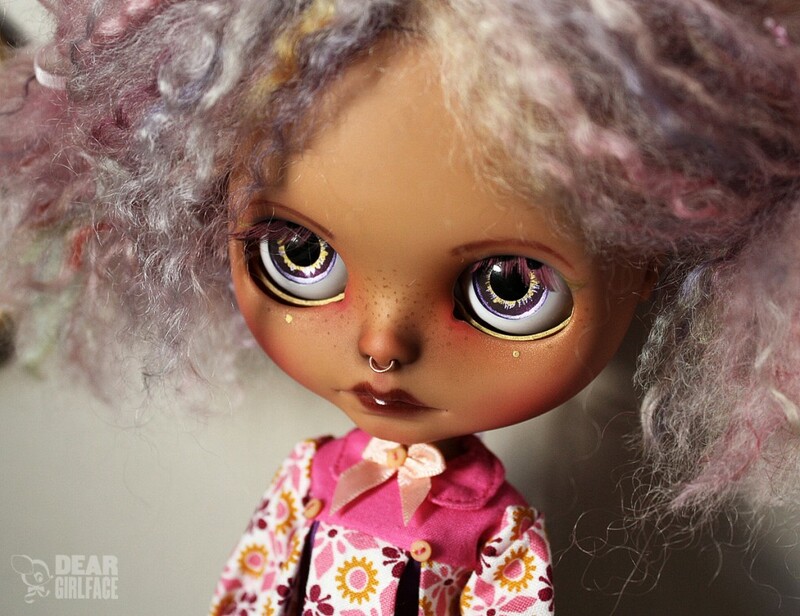 I admired the sellers on Etsy, eBay and Ravelry with their custom girls and a few that were darker skinned and many other dolls with brightly coloured hair. 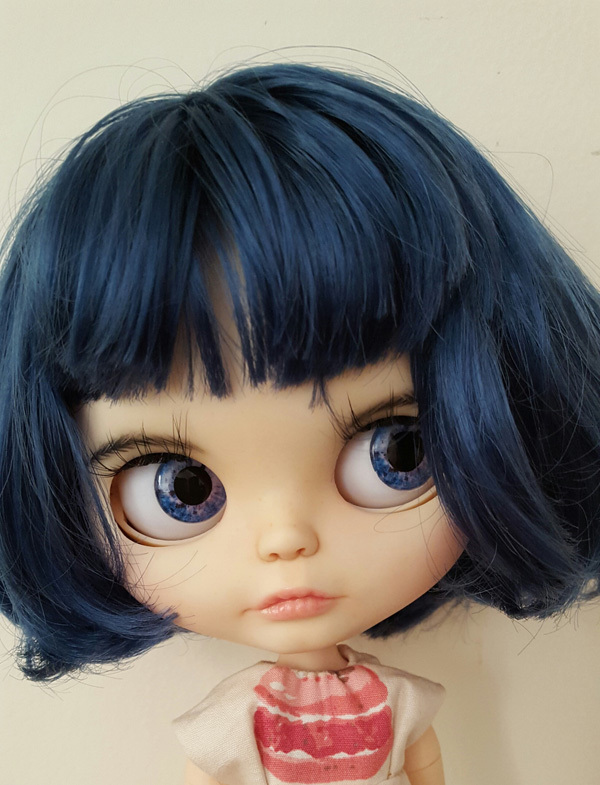 So I researched for a “factory” seller who was able to quench my desire for a blue long haired girl (named Betty Blue) and a beautiful darker skinned (and obvious fake…I know, but stock dollies like her didn’t exist) girl I named Dovima, after the legendary 50’s Vogue model. Oh goodness! Where do I begin? Her eyes do it and her little body. 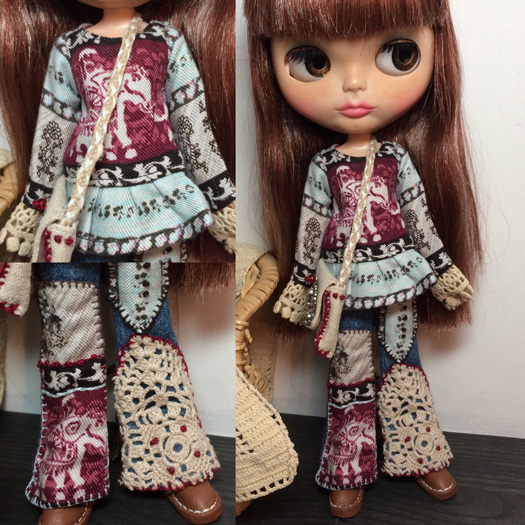 How her personality not only changes when you change her eyes, but also in how you style her hair and dress her. I’m fondest of her original face, just because it is what I saw that made me fall in love. She’s a great way to pass time and take pictures of and being a guy I love seeing people react to my having her with me. 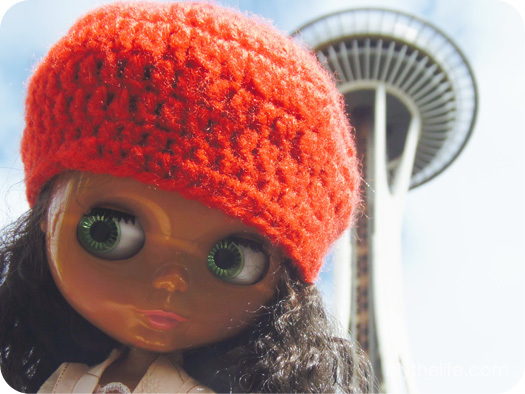 She’s inspiring to make me want to be more crafty and I started crocheting because of her! I love seeing the new releases and how she has such a worldwide following. She’s kind of like an old Hollywood story. She was released from her contract after lackluster success, and then relaunched herself as muse and model in a comeback Joan Crawford would be seething about. She is charming and my current boyfriend I knew was a keeper on our third date, when he met the girls and fell in love. He always wants to play with them! I love the inspiration she gives to all the people who have been bitten by the bug. In some ways it’s like a hilarious playground of make believe: the diehard Kenner only peeps, the customizers, the Takara collectors, and the collectors who buy the stock dolls along with the factory babes. 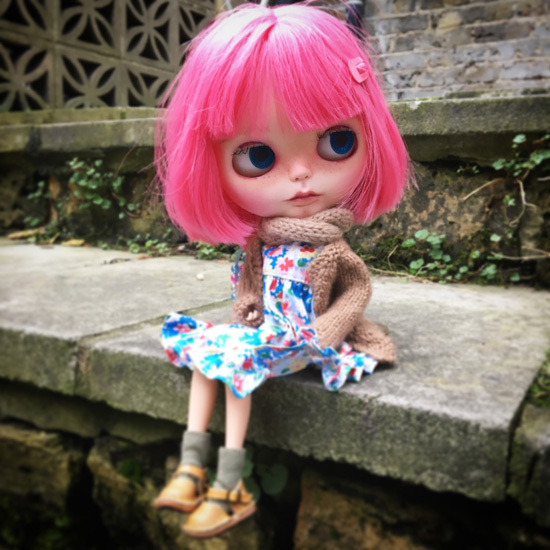 It is amusing and amazing how a plastic doll has such a following of people from all walks of life the world over. All united behind a set of changing eyes. It is so much fun that just when I’m thinking that I have a weird obsession as a 40 year old man for a doll. 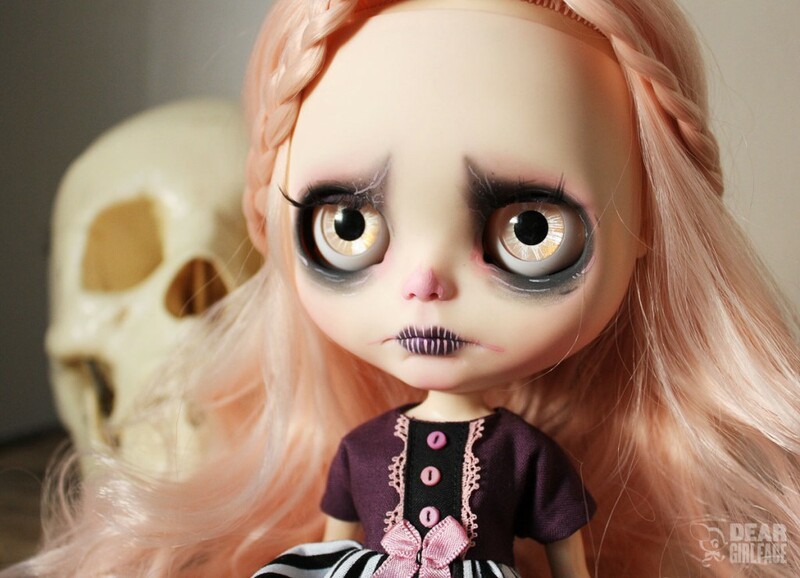 Then I go on Instagram and online and find other people who make me feel so happy that I’m not alone and understand when I have the need for a new doll. They won’t tell me I’m stupid, they tell me to go for it! Christopher can be found on Instagram.